It's time to announce the winner of our May Sketch Challenge. 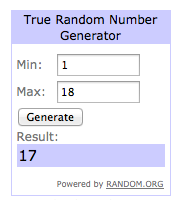 The winning layout is #17 and it belongs so Asa Svedberg. Congratulations, Asa! 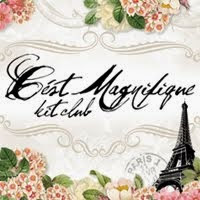 Since you used our May kit to create your layout, you have won a $20 gift certificate to the C'est Magnifique Store. Leslie will contact you with all the information. 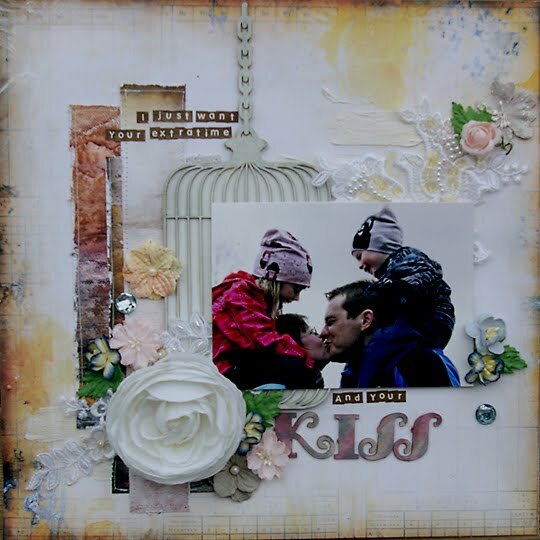 One of these five featured layouts has won a beautiful stamp from La Blanche. Chantelle, that's you! Your layout is the fourth one listed. Congratulations! Leslie will be contacting you for your shipping address. Once again, thanks to all of you who participated in this challenge. Check back tomorrow for all the details on our June sketch. oh thank you for featuring my LO - really enjoyed creating this page. Congrats to the winner!! My congrats to winners, LOs are so beautiful! All your layouts are very deserving of a feature!! Congratulations, Ladies! Your layouts were all absolutely gorgeous! Thank you so much for playing along! Wow! I´m really honoured to be the may sketch winner :) Yihaaa!!!! Ladies all of these layouts are so gorgeous!!! Thanks so much for sharing your amazing talent with all of us, you all are a true inspiration. I just saw it!!!! Can't believe! Thanks so much!!!! Another Look at our July Kit! A Look at the paper and add-ons for July!